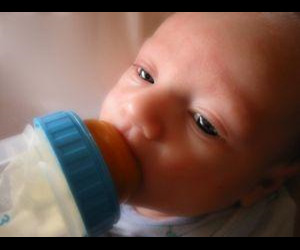 Researchers have linked the early weaning of infants off breast milk to the development of chronic diseases later in life. The research, by Dr Julie Smith and Dr Peta Harvey of the Australian Centre for Economic Research on Health at ANU, looked at the public health impact of infants being prematurely weaned during the past five decades in Australia. Using evidence that breastfeeding reduces the risk of chronic disease later in life, and that 90 per cent of current 35-45 year olds were weaned off breastfeeding before six months of age during the 1960s, the researchers measured the legacy for our chronic disease burden. Dr Smith said that inappropriate and unsupportive health policies, practices and attitudes had undermined breastfeeding in the postwar decades, and led to an unnecessary and avoidable public health burden from chronic disease. "Many Australians have higher chronic disease risk because they missed out on breastfeeding when they were babies. From what we now know about the effects of premature weaning on chronic disease risk, a significant proportion of the current burden of chronic disease might have been avoided," she said. 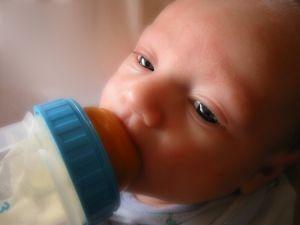 "We still don't fully understand the long term implications of breastfeeding in infancy. But depending on how we measure exposures for different types of chronic disease, more than one in ten Australians will face heightened risk in later life because they were not breastfed, many from disadvantaged families. "Not being breastfed has modest effects on increasing later chronic disease risk, but the importance for public health lies in the fact that so few Australian babies are breastfed to six months." Despite the unhealthy legacy, the researchers say that understanding the impact of past practices offers an opportunity to act against the problem for the future. "Many public health measures to prevent chronic disease are ineffective or expensive to sustain. But being breastfed for a time in infancy reduces the long-term risk of chronic disease. Few other one-off preventative health interventions show consistent, long term effects in reducing chronic disease." Dr Smith said paid maternity leave has an important role to play as it acknowledges that breastfeeding takes time and effort, but further changes are needed in the health system and the community. "It is crucial that the new National Breastfeeding Strategy redresses historical hangovers and translates into real change, so that breastfeeding is a practical choice for all mothers," she said. The researchers' paper – 'Chronic disease and infant nutrition: Is it significant to public health?' – is published in the international journal Public Health Nutrition. Please name the 'chronic diseases' to which you refer and your evidence for making this claim.